Nearly of all of us use the internet on a daily basis. We can hardly imagine our life for a second without the internet. Whenever we need any type of information, the internet is the first tool we use. But not many of us have a clear picture of how the internet works. On a fine evening, you might be in your home and doing something online like e-shopping or watching a movie or finding any information via your mobile phone or laptop. Each of these activities, like searching for information or watching a movie, requires internet connectivity in your device. This is because the information or movie is stored somewhere else in the world (you have no idea where), and you are using the internet to fetch them to your home. These storage units, where the information or movies are physically stored, are called “servers” or “custodians.” The servers are also connected to the internet so that it will be possible for others to retrieve information from it. You use different websites for different purposes, and each website is stored (hosted) on different servers. You are connected to the internet via the wifi router at your home. When you request some information, the router receives your request, calculates the path to the appropriate server, and forwards your request to the next stop on the way to the appropriate custodian. This way, hop by hop, your request reaches the server, gets the required information from it, and again comes back to you to deliver the information you wanted. Now, what happens when the server becomes unreachable? You have probably heard the phrase “the server is down” thousands of times in your life already. 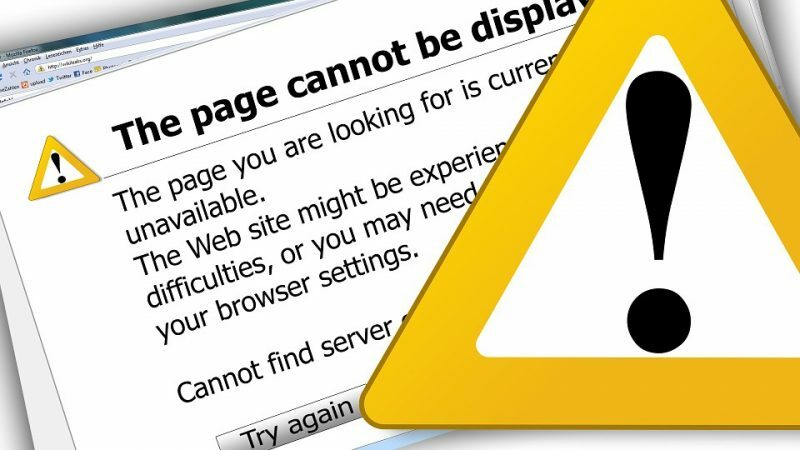 There may be several reasons behind a server’s unavailability. There might be a power outrage at the location where the server is stored, or maybe one of the links (from your home to the server) is not working. You have to wait till the server is restored to get the information you were looking for. And from our real life experience we know that once a server is down, it takes several hours for it to become operational again. In our recent study titled “Content search and routing under custodian unavailability in information-centric networks,” published in the Elsevier journal Computer Networks (COMNET) in 2018, we tried to find an alternate solution for this kind of problem. Information Centric Networks, or ICN, are a new kind of network where each router has some storage units in which some information can be stored, but not all the information is available on one server. There have been a lot of studies on how you can store information in these routers, but in the end, the main thing is – there is a chance that the entire information of one server can be obtained by integrating the information available on multiple routers’ storage units. So whatever information you are looking for might be out there in the storage unit of some router, but you have to find it! This is what we did it in our study. We proposed a method to find the information you are looking for. It is called “CESU (Content Exploration under Server Unavailability).” Our analysis showed that following the searching strategy we proposed, even when the server is down, you still can find the information you are looking for up to 98% of the time. Pretty impressive, isn’t it? So, rest assured, the server being down is not going to be much of a problem in the near future. Using our strategy, 98% of the time you are going to find the information you were looking for. These findings are described in the article entitled Content search and routing under custodian unavailability in information-centric networks, recently published in the journal Computer Networks. This work was conducted by Anubhab Banerjee from the Technical University of Munich, Bitan Banerjee and Chintha Tellambura from the University of Alberta, and Anand Seetharam from SUNY Binghamton. Anubhab Banerjee is currently pursuing his masters' degree at the electrical and computer engineering, Technische Universität München. His primary research interest is computer networks and systems. Previous Post« Previous Cardiovascular Prevention In Myocardial Infarction With Nonobstructive Coronary Arteries: Is It Needed And Why?